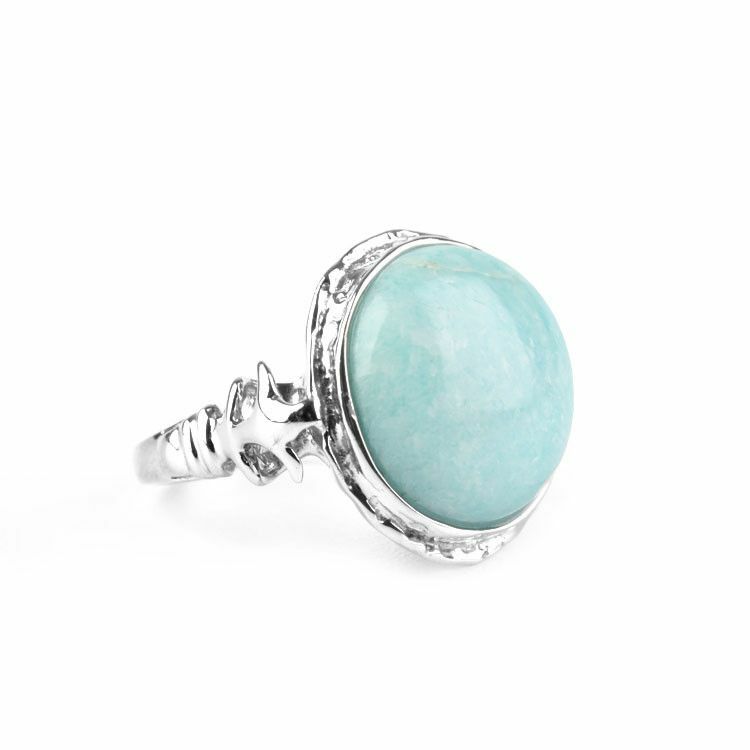 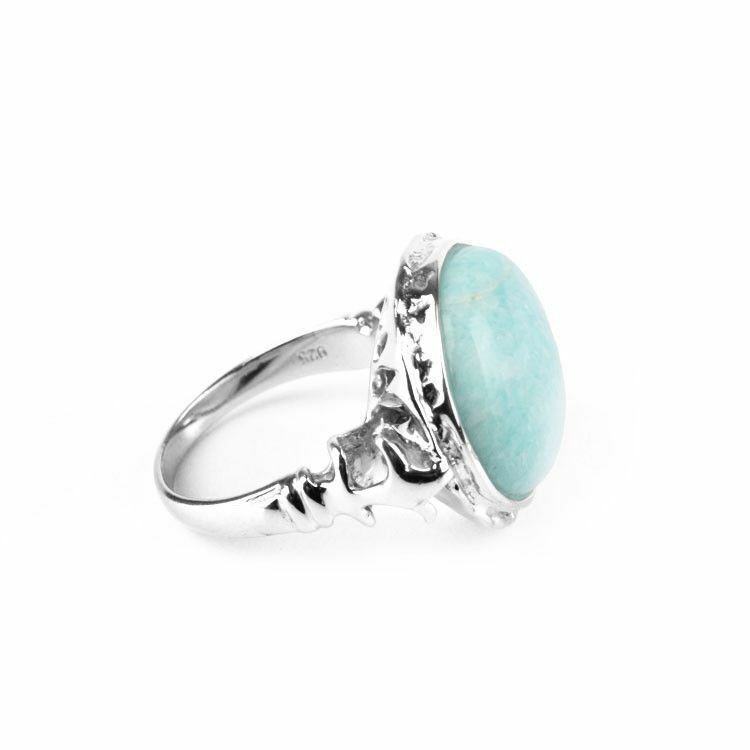 This very beautiful light blue ring showcases a genuine Amazonite gemstone. 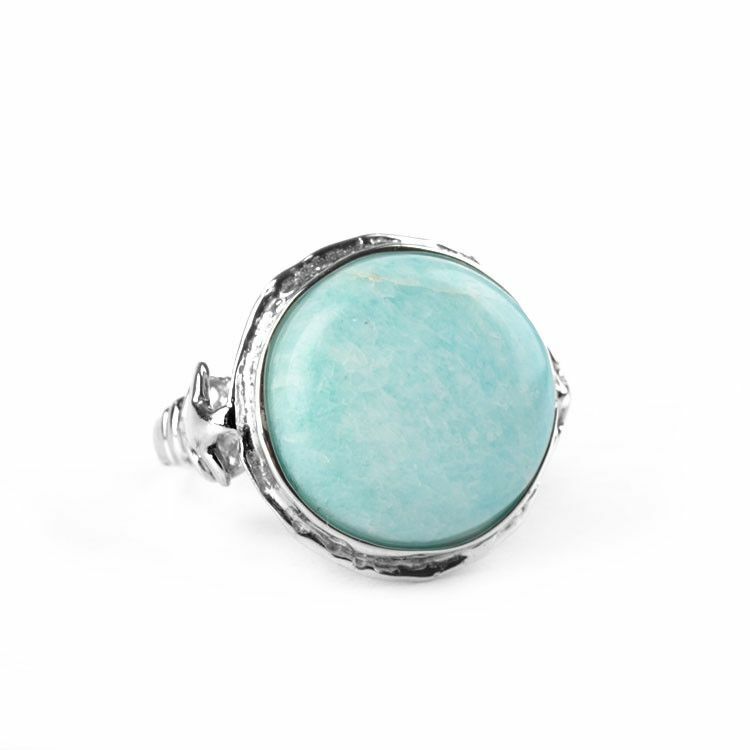 The polished round gem is about 5/8" in diameter and it rests in a unique display of sterling silver. 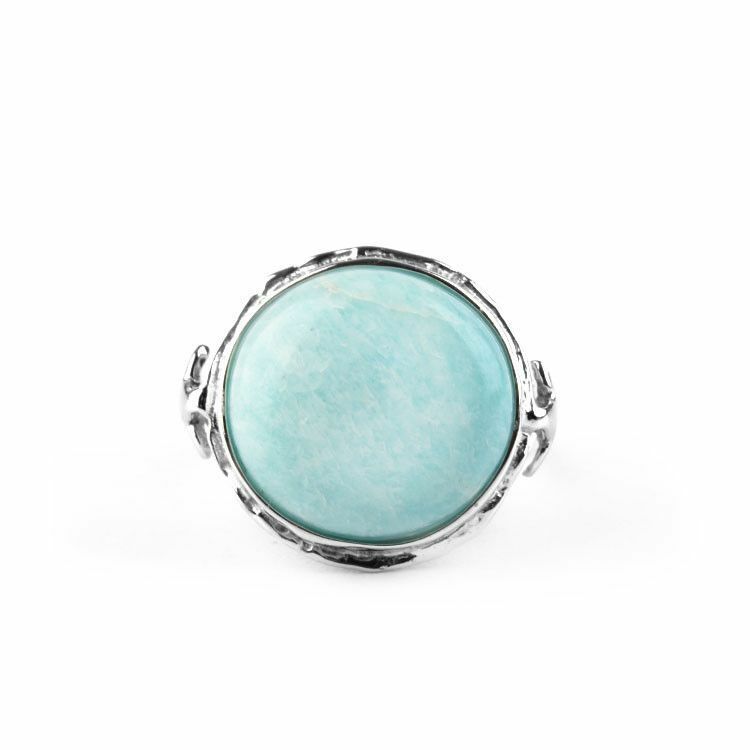 This ring is also very comfortable due to the smooth silver backing that sits on your finger. 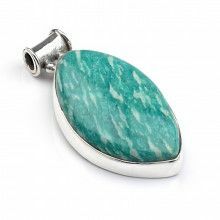 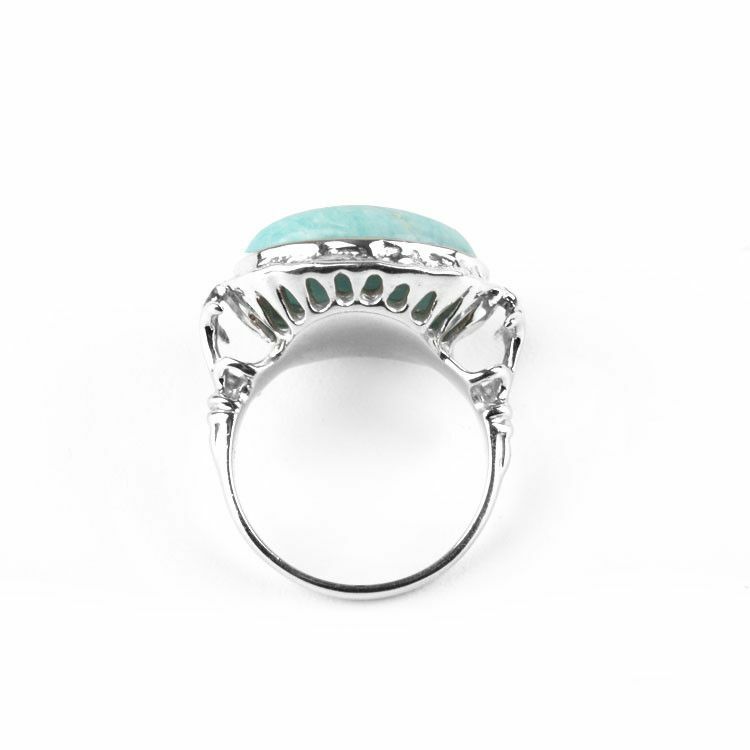 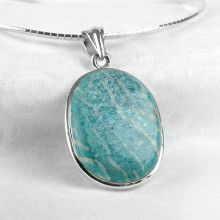 Many women would love this fancy Amazonite ring in their jewelry box!